The only similarity between this film and the book of the same title is going through the looking glass. It really isn't similar in any way, shape, or form. It's important to remember that the original animated film and the first Burton film were actually a combination of the books Alice in Wonderland and Alice Through the Looking Glass. You couldn't exactly make the sequel film like the sequel book in this case. This film was made to give backstory to the first one. Why is the Mad Hatter the only Hatter left? Why is the Red Queen's head swollen? Where did the sibling rilvarly between Iracebeth and Mirana come from? It did this very well, and I was very happy with the result. The film was as visually stunning as the last, maybe even more. It seemed a bit brighter and happier than the last one. This could be because it was mostly set in the past or in the White Queen's palace. I really loved Time's palace as well, which had a darker Steampunk theme. 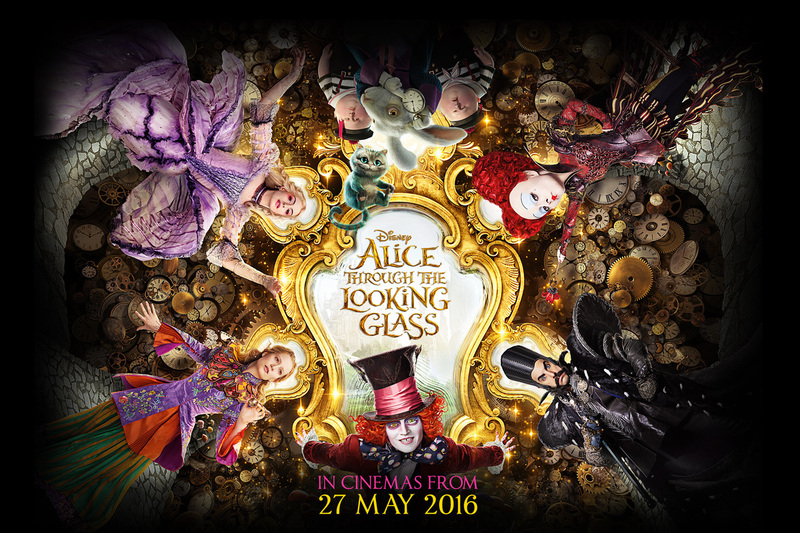 What is your favorite thing about Alice Through the Looking Glass? I haven't seen this one, but I'll consider seeing it when it comes out on DVD!